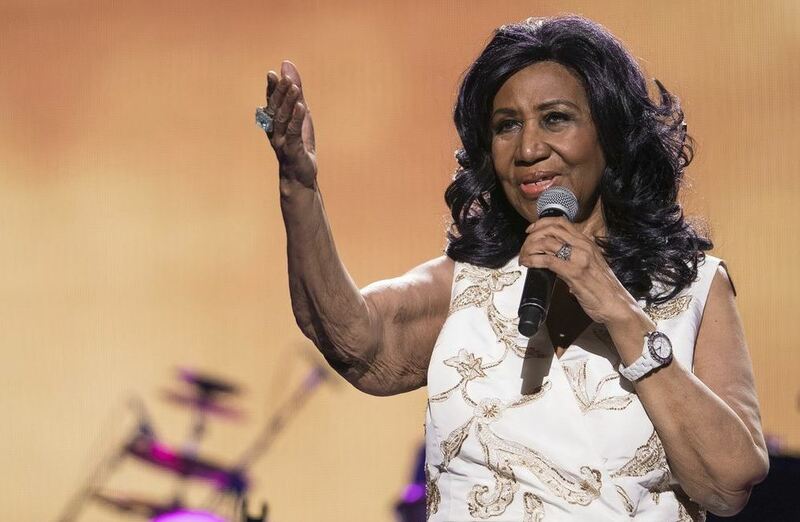 TV with Thinus: National Geographic scraps Mary Shelley and makes soul singer Aretha Franklin the subject of the third season of its docu-drama series, Genius. National Geographic scraps Mary Shelley and makes soul singer Aretha Franklin the subject of the third season of its docu-drama series, Genius. The upcoming third season of the scripted docu-drama series, Genius on National Geographic (DStv 181 / StarSat 220 / Cell C black 262) will now be about Aretha Franklin, America's "Queen of Soul" and no longer Mary Shelley. Aretha Franklin (76) died in August 2018. National Geographic made the announcement on Sunday evening in America during its slot at the Television Critics Association (TCA) press tour in Pasadena, California. Suzan-Lori Parks will be the executive producer and showrunner of the project from Imagine Television and Fox 21 TV Studios, with Ken Biller who was executive producer and showrunner on the first two seasons who will return as executive producer. Imagine Entertainment has partnered with Warner Music for the third season, which will again be executive produced by Imagine Entertainment's Brian Grazer, Ron Howard and Francie Calfo; Gigi Pritzker and Rachel Shane from MWM Studios; and Sam Sokolow from EUE/Sokolow. Imagine Entertainment's Anna Culp will serve as producer alongside Peter Afterman. National Geographic renewed Genius in April 2018 for a third season with pressure for the upcoming season's subject to be a woman, with the author Mary Shelley initially revealed to follow after Albert Einstein and the second season's look at the life of painter Pablo Picasso. National Geographic says a look at the life of Mary Shelley remains in consideration for a possible future season. The third season of Genius covering Aretha Franklin will include several of her biggest recordings and hit songs from the Warner Music catalog including I Never Loved a Man, Chain of Fools, Don't Play That Song, Since You’ve Been Gone, and Baby I Love You, including several of her performances like I Knew You Were Waiting for Me, Freeway of Love, and Sisters Are Doin’ It for Themselves. Filming of the third season of Genius will start this winter and will be broadcast on National Geographic in early-2020. "Aretha Franklin had the ability to empower generations through her iconic music, and I'm excited to finally be able to tell her story, a career passion of mine," says Brian Grazer. "All through her life she used her voice to elevate people and the causes she believed in, especially the women’s and civil rights movements." "You can hear the hopes and sorrows of a divided nation in her soulful voice, penetrating and motivating people at their core in a deeply emotional way. She cut through the pain of Martin Luther King Jr.’s assassination to help heal and unite America with her music and, in the process, ushered in the post-gospel era of rhythm and blues. We're so grateful she shared her genius with the world." Warner Music Group says it is "honoured to be partnering with Ron, Brian, and the team at Imagine, along with Clive Davis, to tell the story of Aretha's genius".